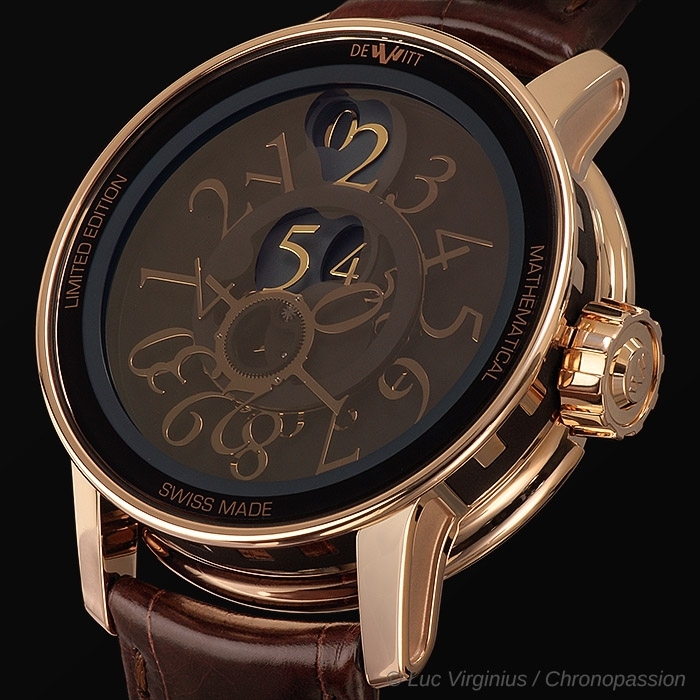 DeWitt | 235'000 € Tax inc.
DeWitt unveils an extraordinary technical innovation, an automatic watch with a prestigious watchmaking tradition behind it – in the form of a mysterious watch that has no hands. 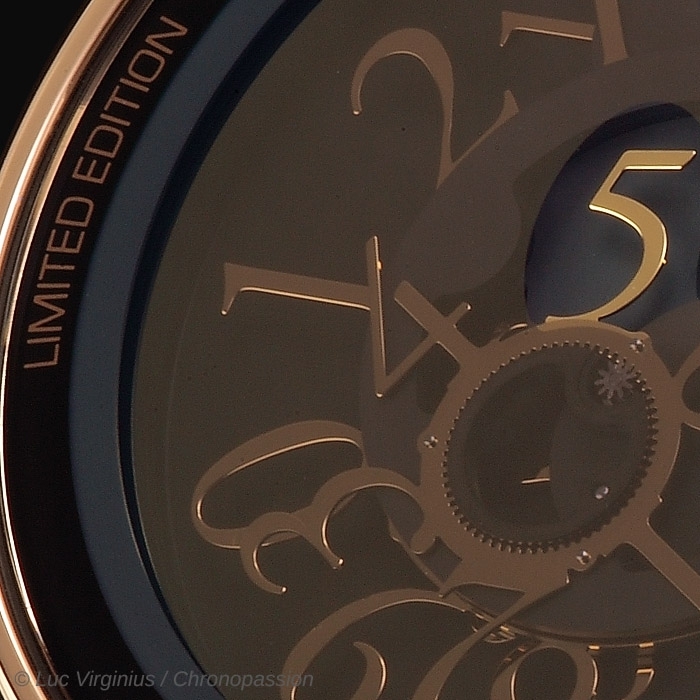 Entirely designed and hand-assembled within the Manufacture by our own master watchmakers, the Academia Mathematical watch, DeWitt's 4th Concept Watch, is the fruit of months of research and development. 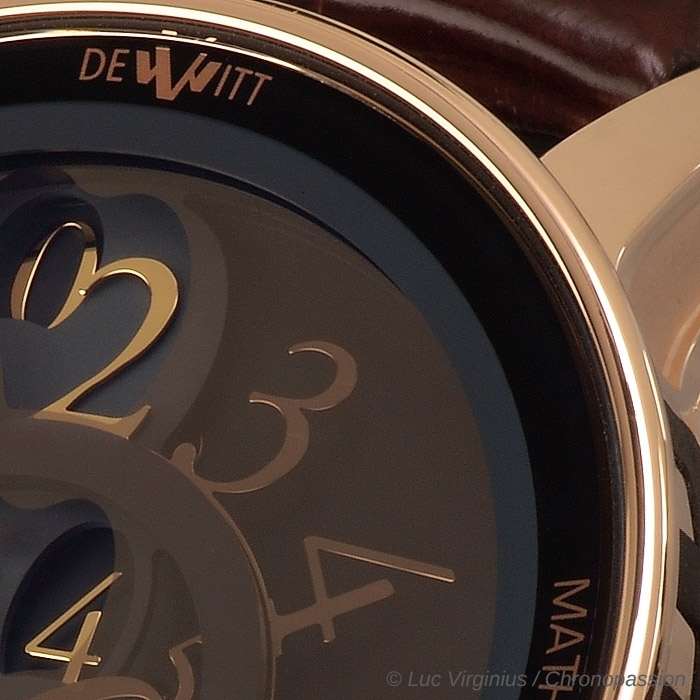 DeWitt's mystery watch concept bears witness to the passionate interest in mathematics shown by its founder, Jérôme de Witt. 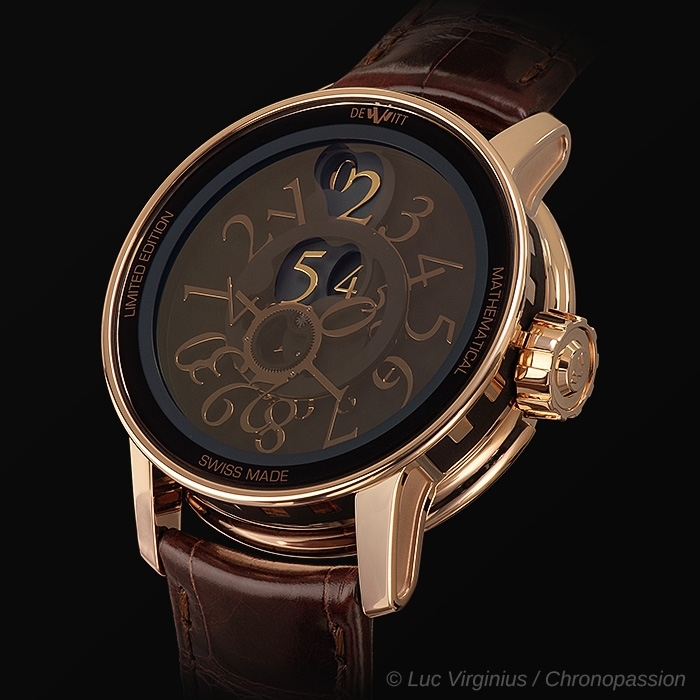 Far removed from the conventions of traditional watchmaking, the numerals indicating the hours and minutes give the impression that they have been scattered, thrown into chaos so that in the end they can give the precise time. 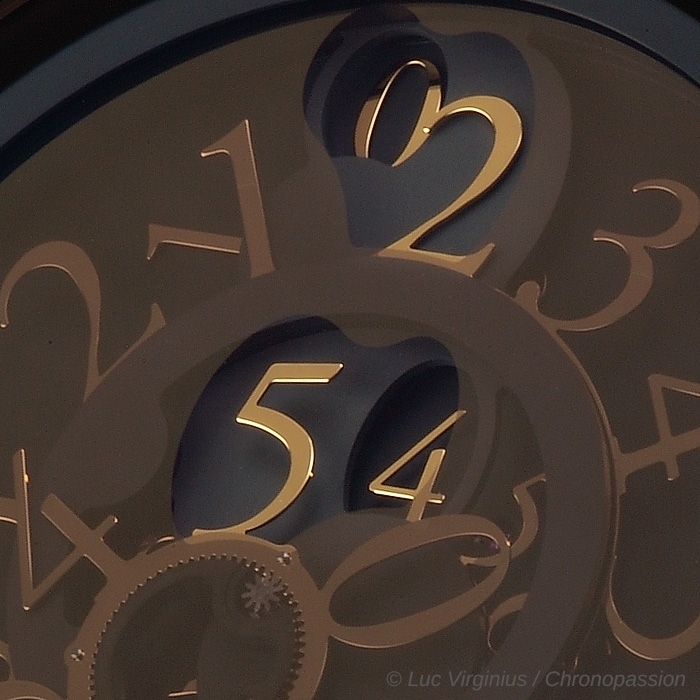 There are no hands, but rather totally autonomous jumping numerals that come to life by lighting up in the centre of the watch to indicate the passage of time. 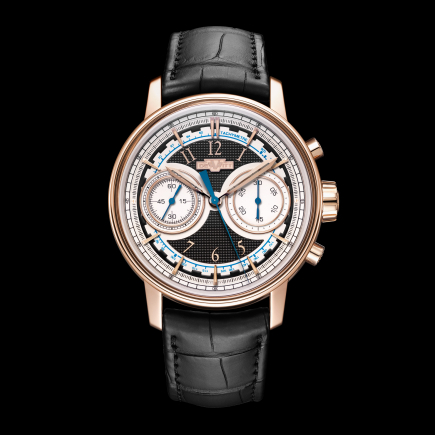 It is thus that a grand watch complication, with its complex mechanisms and painstaking precision, places itself at the service of poetry. 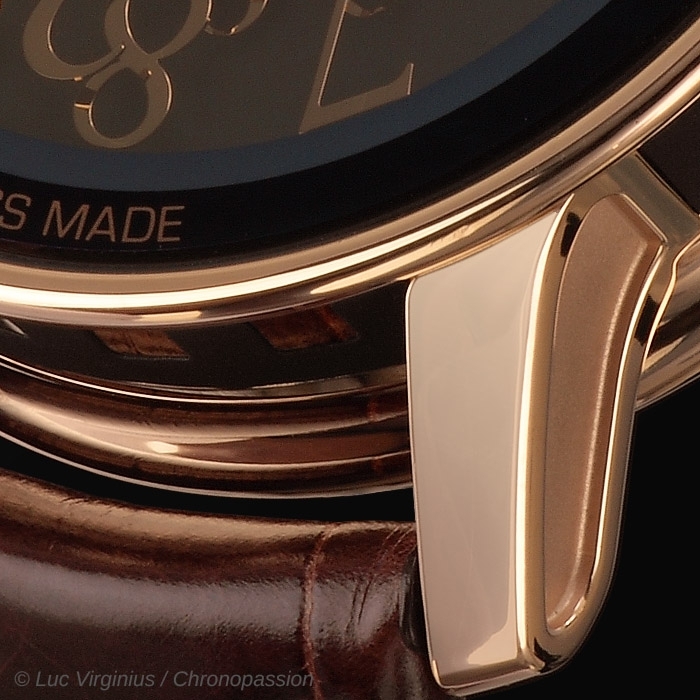 Comprising 384 pieces, the Mathematical movement is based on the new DeWitt Manufacture automatic calibre, most of the components of which have been produced in-house, and all of which have been hand-assembled by our master watchmakers. 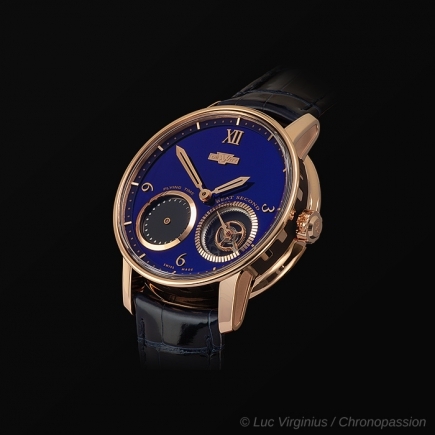 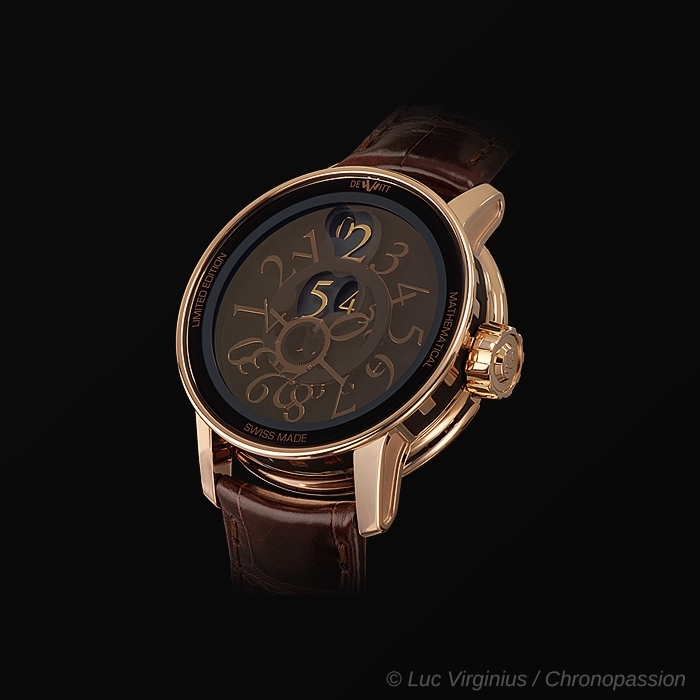 It operates at a frequency of 21,600 vibrations per hour and features a screwed balance and a 48-hour power reserve. 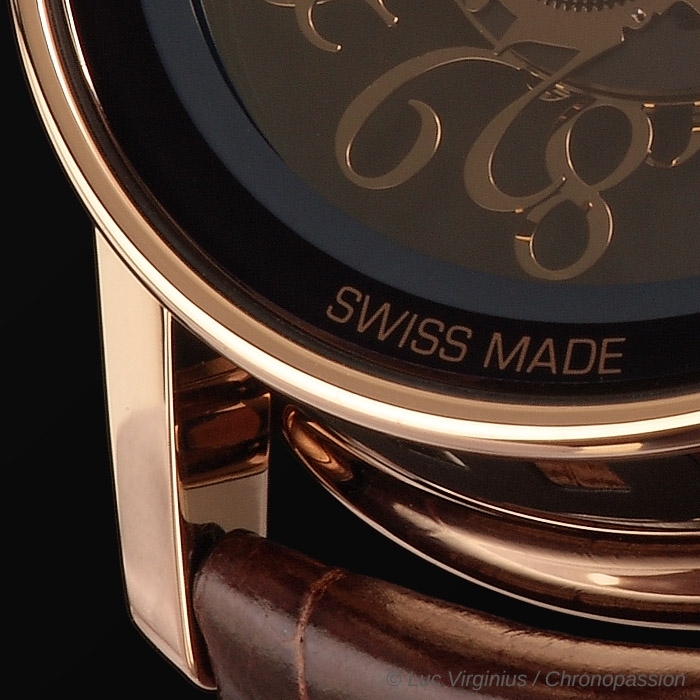 With its bridges decorated with both circular and bevelled Côtes de Genève patterns and its circular-grained mainplate, all the movement's finishes are hand-crafted. 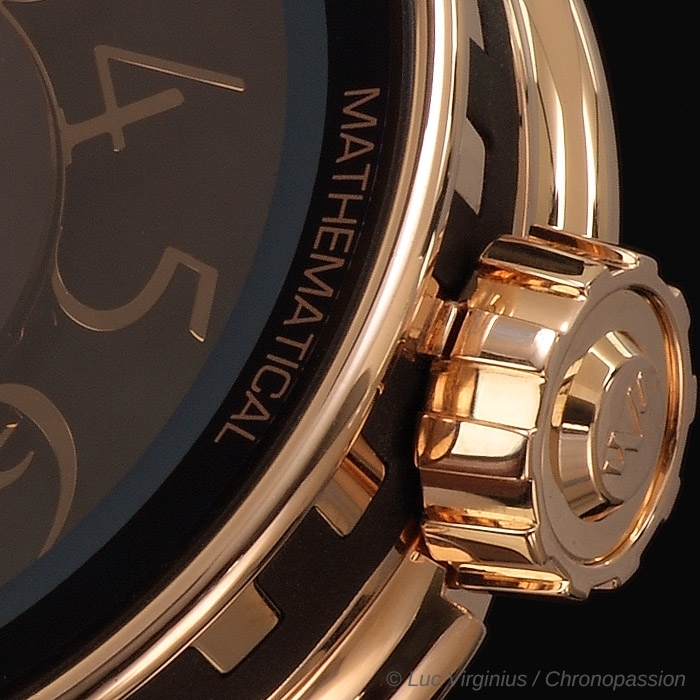 Fitted with a 42.5 mm round case in 18-carat rose gold, the Academia Mathematical watch is adorned, like all DeWitt watch creations, with the brand's emblematic imperial columns. 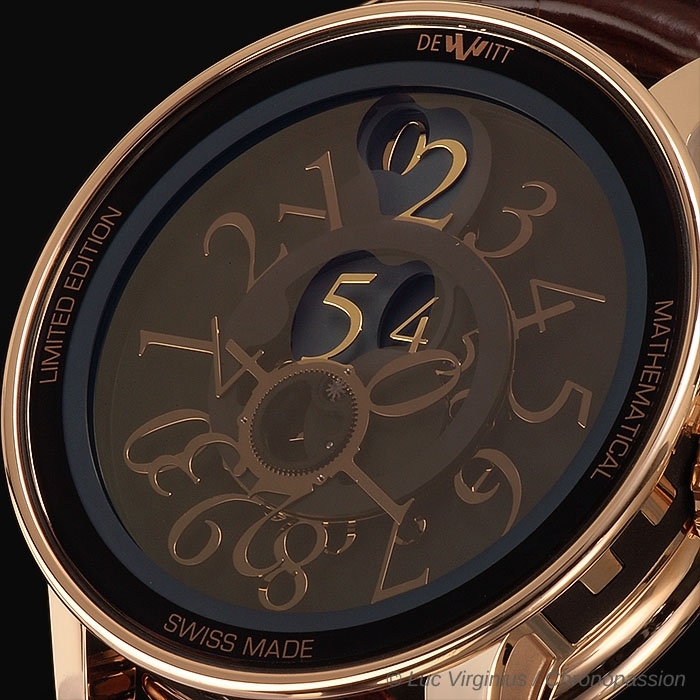 Its aesthetic design and mechanical structure reflect DeWitt's uniquely inventive approach to watchmaking, culminating in a myriad of fascinating calculations that drive relentlessly towards the nature of universal beauty.